Michael B. Jordan and Ryan Coogler just reclaimed the Rocky franchise for millennials. Now Hollywood wants to know what else they can do. There’s a moment you rarely catch famous people in — right after they blow up, but before they’re too big to remember what it’s like to be normal. It’s the morning of December 23, and nobody should want to be here in this Los Angeles event space talking to a reporter, least of all actor Michael B. Jordan and writer-director Ryan Coogler, both of whom must have better things to do on Christmas Eve eve. But neither seems unhappy; they’re relishing the attention and the opportunity to spend time with each other before the holidays, boyishly clowning around. When someone mentions lunch, Jordan raves about a nearby restaurant’s fried-chicken sandwiches as he shadowboxes in front of a mirror. An inquisitive Coogler asks me about my Jordans, which I ramble about, and then about whether he should see Hamilton, which I ramble even more about. A string of Mary J. Blige songs box-steps through the speakers, followed by Shanice’s “I Love Your Smile.” Coogler and Jordan compliment the playlist while dance-walking through the room. 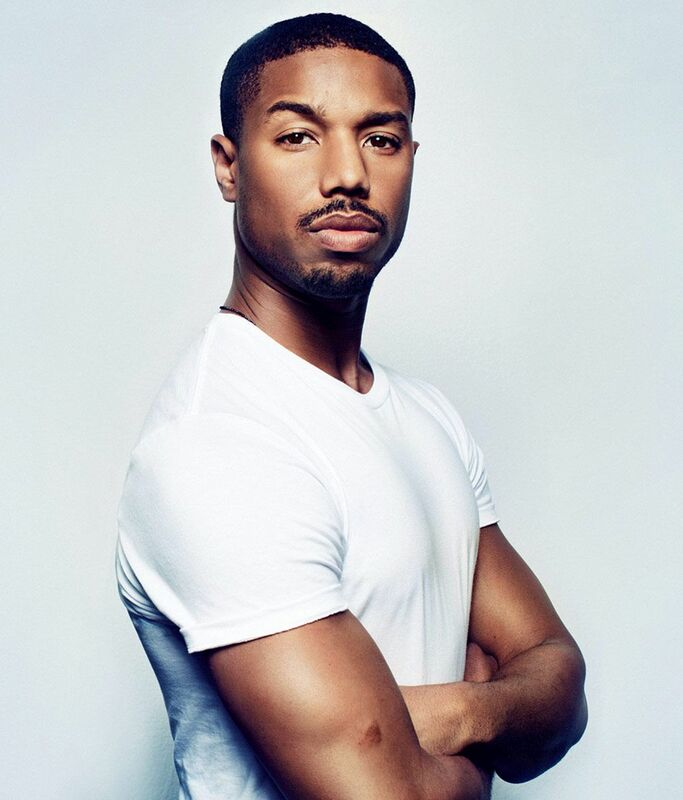 In other words, it’s easy to forget that I’m talking to two of the hottest commodities in Hollywood, fresh off Creed, the new Rocky sequel directed and co-written by Coogler and starring Jordan as boxer Adonis Creed (son of Apollo), which has grossed more than $100 million since its Thanksgiving-weekend opening, earned a Golden Globe for Sylvester Stallone (who returns as Rocky Balboa, Adonis’s trainer), and revitalized a seemingly maxed-out franchise in a time when revitalizing maxed-out franchises might be the one skill the movie business values most. Things are changing fast for the pair, and their next projects will be whatever they want them to be. A week after our meeting, Coogler will make rumors true by signing up to direct Marvel’s Black Panther movie, and then he’ll actually attenda performance of Hamilton, causing the internet to speculate, based on very little evidence, that he might make Hamilton: The Movie. Jordan, 28, grew up in Newark, the son of a guidance-counselor mother and a caterer father. He got into acting early, landing his first big role at 14 in 2001’s Hardball, in which Keanu Reeves takes a job coaching a team of black kids from the Chicago projects to repay his gambling debts. After that, a decade of peaks and valleys: Jordan played Wallace on season one of The Wire in 2002, and Vince on Friday Night Lights from 2009 to 2011, with a three-year stint on All My Children in between. Lights led to a part on TV’s Parenthood, which led to ones in George Lucas’s 2012 Tuskegee Airmen movie Red Tails and the found-footage superhero thriller Chronicle that same year. He was up-and-coming but hadn’t yet broken through. And then he met Coogler. 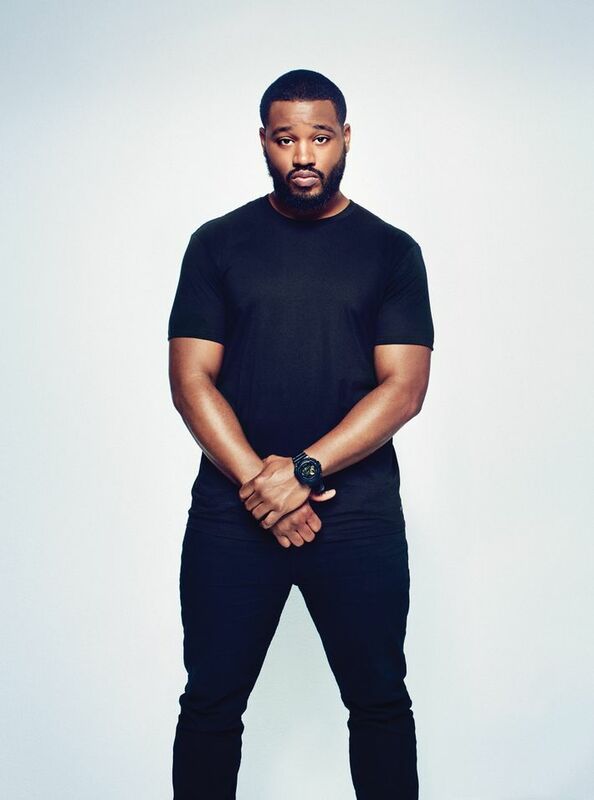 Coogler, 29, grew up in Oakland and Richmond, California. His mother was a community organizer and his father a juvenile-hall probation counselor. He was an athlete and would eventually attend Saint Mary’s College of California on a football scholarship, but he always knew there was another side to him. “The other day, I asked my fiancée, who’s known me since I was 13, ‘Were we jocks?’” says Coogler. “And she was like, ‘I was, but I’m not sure what you were.’ Because I also had friends that were full-fledged thugging and had kicked sports to the curb, but then I also liked comic books and movies.” An English professor at Saint Mary’s encouraged him to try screenwriting, and he went on to USC film school, where he made a series of award-winning short films. Jordan’s parents are equally proud, which I know because I’ve met them. In early November, Jordan was doing press for the movie in Philadelphia, Rocky’s hometown, where seemingly every telephone pole downtown was adorned with a banner with Jordan’s face on it. By chance, I happened to be attending a conference in the same hotel where a Creed junket was taking place. Jordan’s manager saw me tweet something about Philadelphia, texted me about my plans, and invited me to come say an off-the-record hello during Jordan’s lunch break. In his hotel room, Jordan was on the couch watching college football while his parents sat nearby eating room service. I was intruding on his downtime, but he acted happy enough to see me. His parents, though, seemed thrilled that I’d come by, looking on like they were watching a play-date. Ten minutes later, I left, but not without a hug from Mrs. Jordan. Jordan and Melonie Diaz in Fruitvale Station. Photo: The Weinstein Company/Photofest. 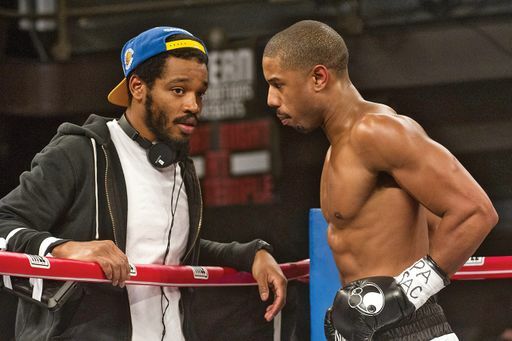 Coogler and Jordan filming Creed. Photo: Barry Wetcher/Courtesy of Warner Bros.
Next up, Jordan will star in Short Term 12 director Destin Cretton’s Just Mercy, based on Bryan Stevenson’s 2014 memoir, as a civil-rights lawyer fighting to free a death-row prisoner. After that, he plans to reteam with Coogler for Wrong Answer, the true story of an Atlanta schoolteacher ensnared in a standardized-test cheating scandal. Somewhere between those and Coogler’s Black Panther, the duo will presumably make time for Creed 2, which Stallone has hinted may include Godfather II–esque flashbacks to the relationship between Rocky and Apollo. *A version of this article appears in the January 11, 2016 issue of New York Magazine.